GHOST Video For “Dance Macabre” Is Naughty And Epic! Well, we are just days removed from the epic “All Ghouls Freak Fest” with GHOST last Friday night at the Peoria Civic Center Theater. The show was enthralling to say the least. The band was tight as hell, and the theatrics were over the top. ‘Cardinal Copia’ was epic, and led the charge with this amazing show. 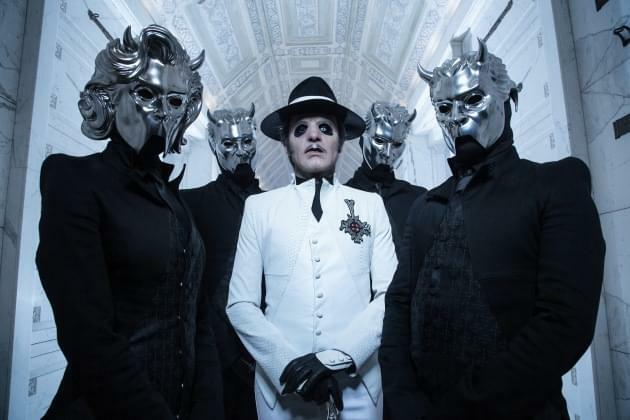 GHOST released “Dance Macabre” here recently, and they have produced one awesome video to accompany the song. Have you seen it? No? Check it out, and enjoy!